Indicated for acute dorsal fracture dislocations of the PIP. 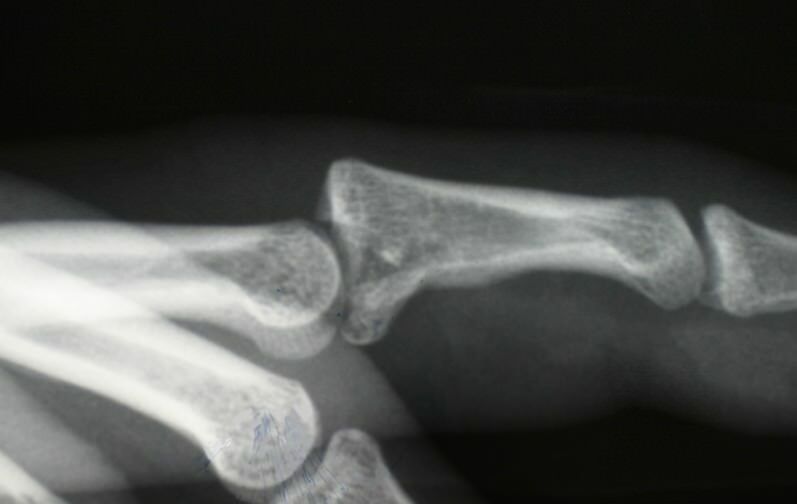 What kind of fracture is the TurnKey FCS indicated for? How often should the elastic bands be changed? It is very important that the elastic bands be installed at all times because they provide the translating force that keeps the middle phalanx reduced. To avoid any breakage of the bands due to age, it is recommended that they be changed every day. The patient should keep some of the bands with him at all times. Can I wash my hand with the TurnKey FCS on? Yes. Follow your doctor’s advice about when it is okay to get the pins wet, but the device will not be damaged by soap or water. Use of petroleum based ointments can degrade the latex elastic bands. It is best to not get these ointments on the bands or the pin cap pulleys. Should I exercise my finger? Yes. You should have received an information pamphlet from your doctor or therapist that shows how to change the bands and suggestions for hand exercises. If you did not receive the Patient Information for the TurnKey FCS, click here to download it. How long should the TurnKey FCS be worn? The TurnKey FCS should be worn until the fracture and the soft tissues are healed. This typically is a minimum of six to eight weeks. What billing codes are used with the TurnKey FCS? Care must be taken to bill each patient correctly. Click here for downloadable billing guidelines. © Hand Biomechanics Lab, Inc.